South Branch Scribbler: Guest Author Lana Kortchik. Lana Kortchik grew up in two opposite corners of the Soviet Union - a snow-white Siberian town and the golden-domed Ukrainian capital. At the age of sixteen, she moved to Australia with her mother. Lana and her husband live in Sydney, where it never snows and is always summer-warm, even in winter. She loves books, martial arts, the ocean and Napoleonic history. Her short stories have appeared in many magazines and anthologies. She was the winner of Historical Novel Society Autumn 2012 Short Fiction competition and the runner-up of 2013 Defenestrationism Short Story Contest. Lana's first novel, Savaged Lands, was published by Endeavour Press in January 2016. Chapter one from Savaged Land. 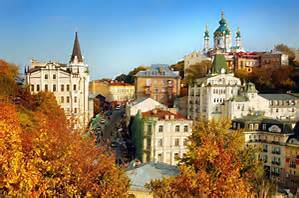 It was a balmy September afternoon and the streets of Kiev were crowded. Just like always, cars screeched past the famous Besarabsky Market. And just like always, a stream of pedestrians engulfed the cobbled Kreshchatyk. Yet something was different. No one smiled, no one called out greetings or paused for a leisurely conversation in the shade of the many chestnut trees that lined the renowned street. On every grim face, in every mute mouth, in the way they moved – a touch faster than usual – there was anxiety, fear and unease. And only three teenagers seemed oblivious to the oddly hushed bustle around them. Grabbing Lisa by the arm, Natasha replied, ‘He will if you don’t get a move on.’ At nineteen, she was only a year older than her sister but she was always the serious one, the more responsible one. There were times when she admired Lisa’s impulsive character. Today was not one of them. ‘Get off!’ exclaimed Lisa, turning her back on her sister, her long red hair swinging out to whip Natasha across the face. ‘Alexei, are you coming?’ Her voice was too loud for the muted street and several passers-by glared in her direction. Alexei Antonov, a blond, broad-shouldered boy, had stopped at what seemed like the only market stall in Kiev that wasn’t padlocked shut and abandoned. The stall boasted a great selection of combat knives and Alexei was in deep conversation with the owner. ‘Alexei!’ Lisa called again. Her voice quivered. Alexei handed the stall owner some money and pocketed the knife. ‘Wait up!’ he cried, breaking into a run. ‘Nagging already? And we’re not even married yet.’ Pecking Lisa on the cheek, Alexei adjusted his glasses, his face a picture of mock suffering and distress. ‘Get used to it,’ said Lisa, pinching the soft skin above his elbow. He attempted a frown but failed, smiling into Lisa’s freckled face. They paused in the middle of the road and kissed deeply. A van swerved around them, a stream of obscenities emanating from its open windows. The two lovers didn’t move. They barely looked up. Lisa pulled away from him. 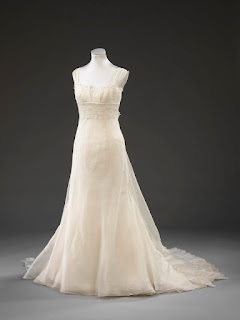 ‘You know you can’t see me in my wedding dress. It’s bad luck.’ She whispered the last two words as if the mere mention of bad luck was enough somehow to summon it. ‘It’s bad luck to be outside at a time like this,’ murmured Natasha. Exasperated, Natasha shook her head. His words were interrupted by a distant rumble. Half a city away, the horizon flickered with shades of yellow and red. For a few breathtaking seconds, the ground vibrated. Somewhere in the distance, machine guns barked and people shouted. And then, as if nothing had happened, all was still again. At the outskirts of the town, fires smouldered and smoke rose in gloomy, putrid mist. ‘How do you know?’ demanded Natasha. ‘Saving it for what?’ Lisa asked. ‘For themselves, silly,’ said Natasha. Natasha could tell her sister was scared because Lisa no longer dawdled. Quite the opposite, she was walking so fast that Natasha had to make an effort to keep up. Racing one another, the three of them turned onto Taras Shevchenko Boulevard and dashed through the park adjoining the university. The ground was littered with shells that had once carried death but now lay peacefully at their feet. Natasha could feel their sharp edges through the soles of her boots. One of her favourite places in Kiev, the park was unrecognisable. Anywhere not covered by pavement was excavated. In the last three months, it had transformed into what seemed like the habitat of a giant mole, full of holes and burrows. All the trenches that the Kievans were digging, all the barricades they were building, enthusiastically at the end of June, habitually in July and sporadically in August, now stood empty and abandoned. How meaningless it all seemed now, how futile. It was inexplicably, almost nonsensically warm. The splendour of Ukrainian autumn, its sheer joy, its unrestrained abundance seemed out of place in the face of German invasion. 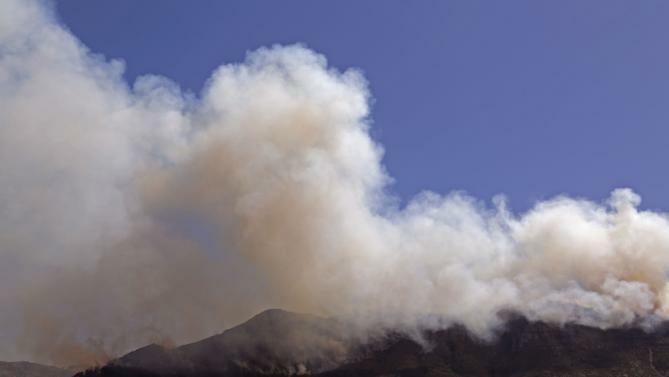 The sun, the blue skies, the whites and reds of the flowers contrasted sharply with fires and damaged buildings. What was happening to their city now, what had happened three months ago when Hitler attacked the Soviet Union, none of it made sense to Natasha. She felt as if at any moment she would wake up only to find the streets of Kiev peaceful and quiet. Since the day her city was first bombed in June, Natasha had waited impatiently to wake up. But the nightmare had continued. All through the end of August and the beginning of September, she watched as platoon after platoon of Red Army soldiers retreated, away from Kiev, away from Natasha and her family. Soon the authorities followed the army. Now, in late September, the city held its breath in fearful anticipation. There was nothing but melancholy faces, nothing but grim skies. How ironic, thought Natasha. As if anyone believed it now. ‘The Red Army will soon push Hitler back,’ added Lisa. ‘What Red Army?’ muttered Natasha. Lisa squared her shoulders but didn’t reply. Suddenly, on the corner of Lva Tolstogo and Vladimirovskaya, she came to an abrupt halt. Natasha, who was only a couple of steps behind, bumped straight into her sister. ‘What …’ she started saying and stopped. Her mouth assumed a shape of an astonished ‘Oh’ but no sound escaped. All she could do was stare. From the direction of the river hundreds of soldiers in grey were marching towards them. Wide-eyed, the sisters and Alexei backed into the park and hid behind its tall fence, watching in fear. The wait was finally over. The enemy was no longer at the gates. Surrounded by crowds of confused men, women and children and accompanied by barking dogs, the enemy were right there, inside their city, their grey uniforms a perfect fit, their green helmets sparkling, their motorbikes roaring, their footsteps echoing in the tranquil autumn air. It was Friday, the nineteenth of September, 1941. Thank you Lana for sharing this captivating chapter. I look forward to reading more. You can find out more about Lana at the following links. Please leave a comment below by clicking on the "comments" icon. Would love to hear from you. 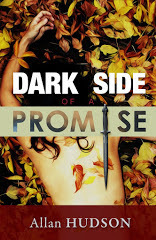 Leave your email address for a chance to win one of two free copies of Dark Side of a Promise. On June 17th.Shipped free anywhere in the world. A great post, Allan. Lana Kortchik's opening chapter draws you right into a time and place in history that we know little about. I'm aware of how the Russians held back the Germans at St. Petersburg, but I know little about their maneuvers in Ukraine. This land is part of my ethnic history, as both my parents came from there to Canada, but well before WWII came to their doors. I look forward to reading more of Lana's novel. Thank you for your comment Diana. I think this is going to be a great read also. 4Q Interview with Author Maika Branch.